Though it may seem odd, watering your trees is an important part of maintaining their health. However, the frequency of watering will depend heavily on the age of your tree. 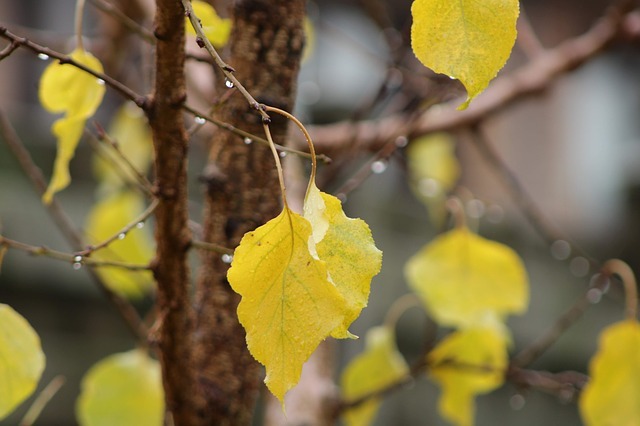 Today we’re going to take a look at best watering practices for your trees. When Should You Water Your Tree? Newly planted trees will need to be watered immediately after being planted so that they can get the moisture they need to grow up big and strong. Similarly, young trees will need attentive watering to give them their best chance to thrive. Establishing a strong and healthy root structure in the first two years of a tree’s life will ensure longevity. After a proper root structure has been established, you can let nature do most of the work, though you should intervene during periods of drought. How Should You Water Your Trees? When it comes to watering your trees, you don’t want too much or too little. Though that may seem complicated, it’s really very simple. You want your soil to be damp, rather than muddy or dry. After watering each tree for about 30 seconds, take a garden trowel and dig about 2 inches below the soil. Then, just give it a touch, assess, and go from there. Whether you’re looking to plant new trees, or you need help with the ones you have, we’re here to help you. Nelson Tree Specialist can also help with diagnosing issues with your trees and tree removal, if needed. If you have questions about our arborist services, contact us today. We look forward to assisting you. This entry was posted on Sunday, April 7th, 2019 at 7:57 pm. Both comments and pings are currently closed.